In this episode, Robert and I dive into the controversial issue of native advertising and talk about what happened when a blogger “liked” everything he saw on Facebook for two days. 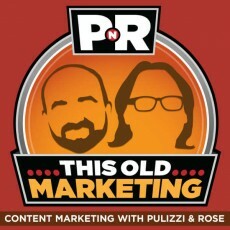 We also discuss the latest research on the growing pay gap between journalists and public relations professionals, rant about unscrupulous marketers trying to benefit from Robin Williams’ death and Amazon’s crazy idea on eBook pricing, and review The Compass magazine by UPS as this week’s This Old Marketing example. Native Advertising is Further Proof We’ve Lost Our Way (17:51): This opinion piece by Todd Copilevitz on Digiday is somewhat confusing. It implies that both marketers and publishers have been blinded by trying to create short-term gains from minimal investments. Marketers are always trying to find new opportunities to exploit, while publishers are struggling to uncover new revenue streams — not exactly a new revelation. The article ultimately issues a challenge to marketers, which is exactly what Robert and I have been saying for some time now. When the “Like” Strikes Back (26:11): This article from Yahoo Tech chronicles one writer’s social experiment, in which he liked everything that showed up in his Facebook feed for 48 hours. It quickly devolved into a cavalcade of ads and sponsored content, which pushed out nearly all of his friends’ updates and started to infect their feeds with more ads, too. Robert and I share what our key takeaways are from this fascinating story — both good and potentially scary. The Growing Pay Gap Between Journalism and PR (34:36): The salary gap between public relations specialists and news reporters has widened over the past decade to almost $20,000 a year, according to a study released by the Pew Research Center. I’m not sure why Pew chose to release this “new” analysis, because, in truth, the data on this hasn’t changed very much in the last few years. It also ignores brand journalists, who tend to be paid significantly more than traditional journalists. This week, This Old Marketing is being sponsored by Smartling. A multilingual website is your gateway to the global marketplace. But being truly multilingual isn’t just about translated content. It’s also about providing visitors with an authentic and transparent user experience. 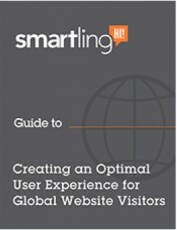 Smartling has published a white paper entitled, Creating an Optimal User Experience for Global Website Visitors, that contains best practices for companies that are building a global brand across multiple languages. You can download it at http://bitly.com/pnr-global. Robert’s Rant: Within hours of the announcement of Robin Williams’ untimely death, several marketers published blog posts with headlines like, Marketing Lessons From Robin Williams’ Movies. The deputy managing editor of the New York Daily News’ digital group sent a memo to his employees congratulating them for keeping their articles “SEO strong” by stuffing them with keywords related to the renowned comedian and actor’s death. These ill-conceived efforts at newsjacking are tacky and should be avoided. Joe’s Rant: Amazon.com recently announced that it wants all eBook authors to price their books at $9.99 — a price the company believes to be optimum for all parties involved. I explain why that line of thinking is seriously flawed. 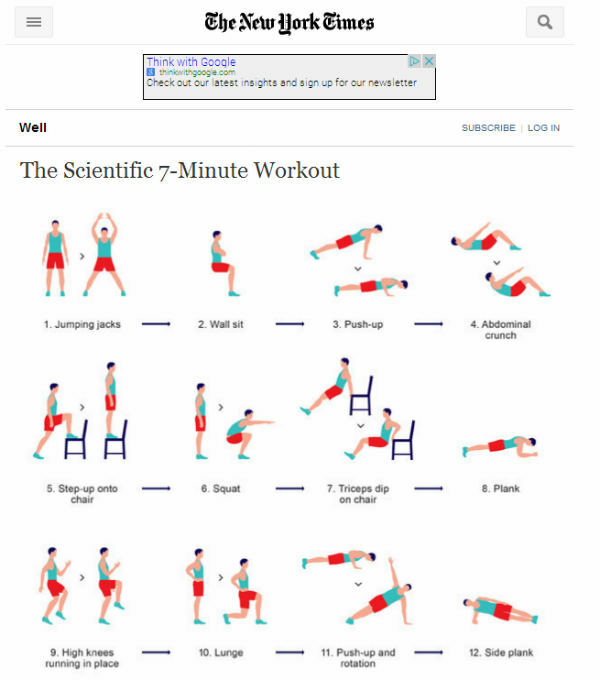 Joe’s Rave: I also offer a rave on an image I found on Facebook, in which an Ad Sense ad was placed in a New York Times graphic for a “Scientific 7-Minute Workout.” It’s an amusingly “meta” example of Google’s efforts to steal audience away from a publisher — in essence, it’s Google spending its own ad money to promote its content marketing within its own ad. 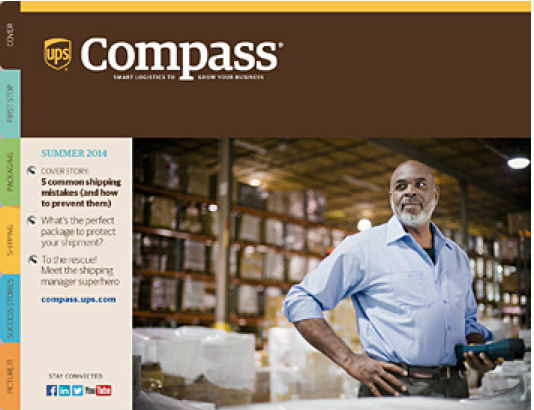 Compass Magazine from UPS: This high-quality magazine started life two decades ago as a print piece. In its quarterly print format, it is distributed to over 600,000 subscribers worldwide; the monthly digital version, launched earlier this year, already has over 400,000 readers. Its content is focused on helping corporate shipping managers get better at their jobs. Compass is an excellent example of content marketing that’s focused on the needs of a very specific audience.